A skilfully extended four bedroom semi-detached home offering well-balanced family accommodation enjoying an elevated position within this highly popular residential area. Available with the benefit of no onward chain. WETHERBY Wetherby is a West Yorkshire market town located on the banks of the River Wharfe and lies almost equidistant from Leeds, Harrogate and York. 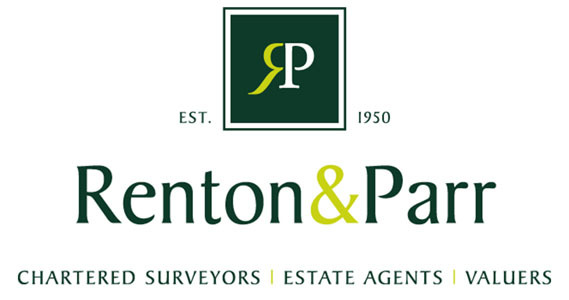 Local amenities include a range of shops, schooling, sporting amenities including indoor heated swimming pool, 18 hole golf course, tennis, squash, rugby, cricket and football teams. Commuting to major Yorkshire commercial centres is via a good local road network with the A1 and M1 link south of Aberford. DIRECTIONS Proceeding out of town along Deighton Road passing the New Aldi store on the right. Take the next left turning into Ainsty Road. 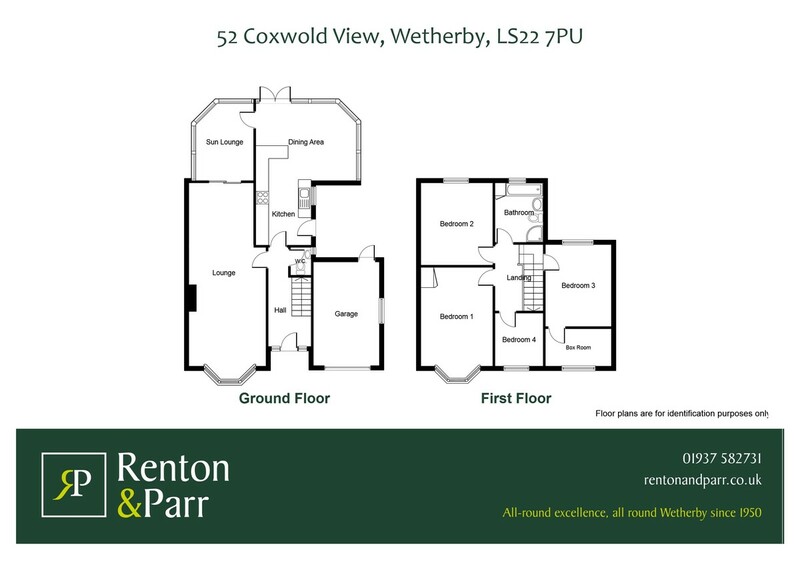 Second left into North Grove Avenue, first right into North Grove Drive, proceeding up Coxwold Hill take the first left into Coxwold View where the property is identified on the left hand side by a Renton & Parr for sale board. ENTRANCE HALL Wood effect laminate floor covering, staircase to first floor, double radiator, dado rail, decorative ceiling cornice, understairs store cupboard. SUN LOUNGE 12' 6" x 9' 2" (3.81m x 2.79m) With double glazed windows to front and side elevations, two double radiators, T.V. aerial. KITCHEN/DINER 22' 6" x 16' (6.86m x 4.88m) L shape narrowing to 8' 5" (6.86m x 2.57m). The kitchen area comprising a range of modern wall and base units, cupboards and drawers, laminated work surfaces, inset stainless steel sink with mixer tap and drainer, tiled splashbacks, stacked twin oven, four ring gas hob with extractor hood above, integrated dishwasher, space and plumbing for automatic washing machine, integrated fridge, space for freezer, radiator, double glazed window to side and single door. A lovely light area with ample space for table and chairs, double glazed windows to both side and rear elevations, two double radiators, laminated wood effect wall covering, double patio doors leading out to rear garden. DOWNSTAIRS W.C. A white suite comprising low flush w.c., wash basin, double glazed window to side. SPLIT LANDING Loft access hatch serving access to loft space providing potential for further development, (subject to necessary planning consents). Dado rail. BEDROOM ONE 15' 6" x 11' 3" (4.72m x 3.43m) into the bay Double glazed walk-in bay window to front, double radiator beneath, T.V. aerial, decorative ceiling cornice, wardrobe. BEDROOM TWO 12' 9" x 11' 0" (3.89m x 3.35m) With double glazed window to rear, double radiator beneath, decorative ceiling cornice. BOXROOM 10' 2" x 5' 8" (3.1m x 1.73m) With double glazed window to front aspect. This room provides the ideal opportunity for enlarging the existing bedroom or potential for an en-suite facility. BEDROOM FOUR 8' x 8' (2.44m x 2.44m) With double glazed window to front, double radiator, decorative ceiling cornice. Telephone point. HOUSE BATHROOM A generous bathroom with attractive white suite comprising low flush w.c,. pedestal wash basin, bath with mixer tap and shower handpiece, walk in shower cubicle with tiled walls and wall mounted shower fittings, attractive Travertine part tiled walls and floor covering. Airing cupboard housing gas fired central heating boiler, large ladder effect heated towel rail, double glazed windows to two sides, inset ceiling spotlight. INTEGRAL GARAGE With manual up and over door, light and power laid on. Window to side, rear door. GARDENS To the front, a neat parcel of lawn with established beech hedging to the front and well-stocked flower borders and fenced perimeter. Path to the side serves access to bin store with outside water tap and onto rear garden which is laid mainly to lawn with deep borders, fenced perimeter and established hedging provides a high degree of privacy. Patio area creating the ideal space for outdoor entertaining, useful under floor level storage.